I can attest that the Magnum definitely looks like a Dodge: aggressive and somewhat intimidating. The brute force effect is achieved by the large headlights and the bold grille. 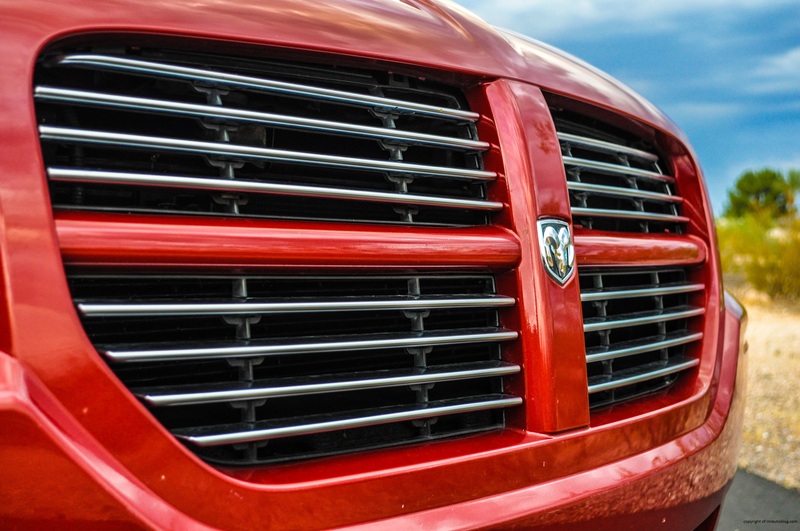 The grille features a “crosshair” design with the Dodge logo embedded in the middle. Subtle surfacing in the hood reveals a slight hood bump, hinting at the V8 underneath. 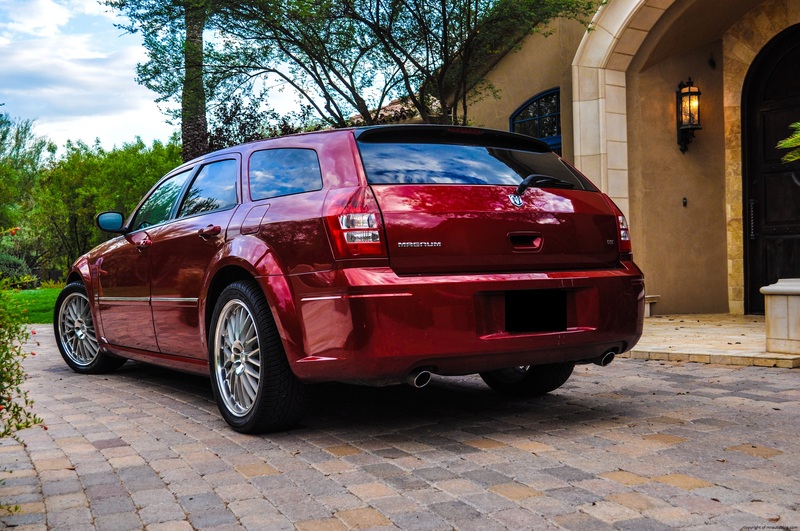 The steeply raked winshield leads to a sleek roofline, and the bulging fender give it a muscular stance. 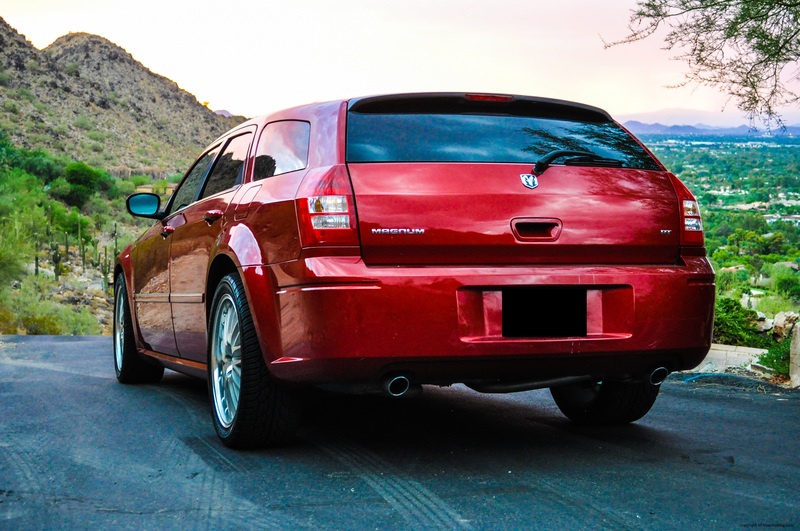 The side profile features a subtle character line that starts from the hood to the middle of the rear taillight. 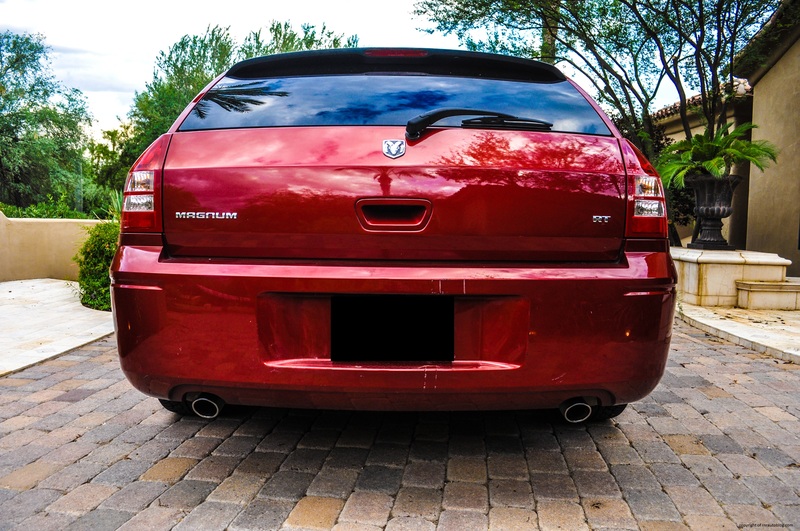 The rear is simple, although I am fairly certain that the taillights are carried over from the Chrysler 300. 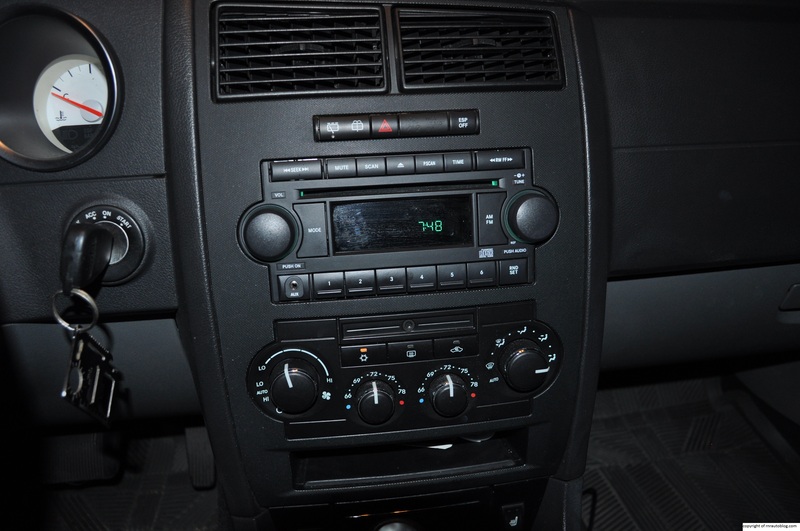 However, the interior has a typical Chrysler/Dodge interior, so nothing really stands out. A few minutes after I get behind the wheel, it was readily apparent that this car is not made for handling and turning. The vague and slow steering lets you feel the Magnum’s bulk, and speaking of bulk, this thing weighs 100 pounds less than a first generation Honda Pilot SUV. It drives like a big SUV with a wide turning circle, and when you turn at high speeds, you are met with relentless understeer. 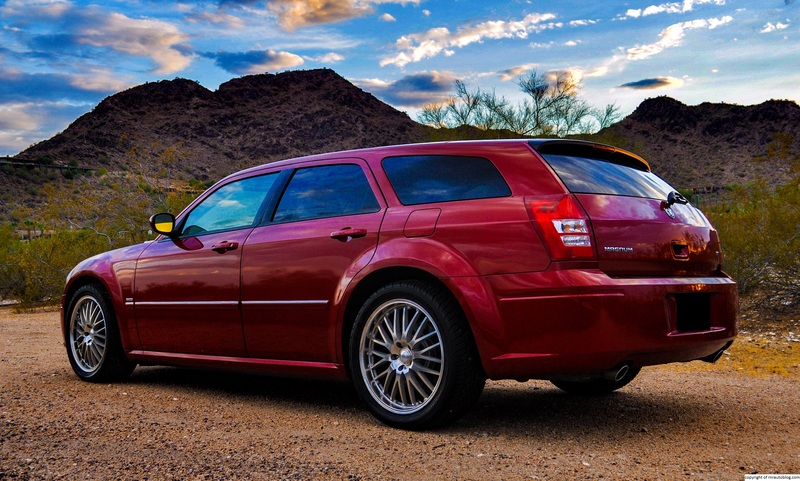 Body lean is controlled, but the Magnum does not inspire confidence when the road gets twisty and curvy. Its weight does have one benefit: it remains impressively planted. 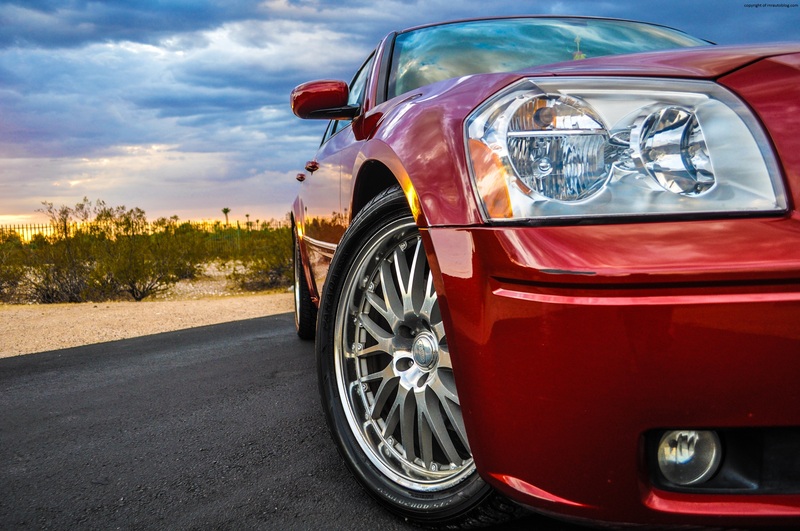 On dips and bumps, there are no unexpected motions. . For normal roads, the ride is a little bit on the stiff side, although that may be attributed to the lower profile tires that come with the R/T version. 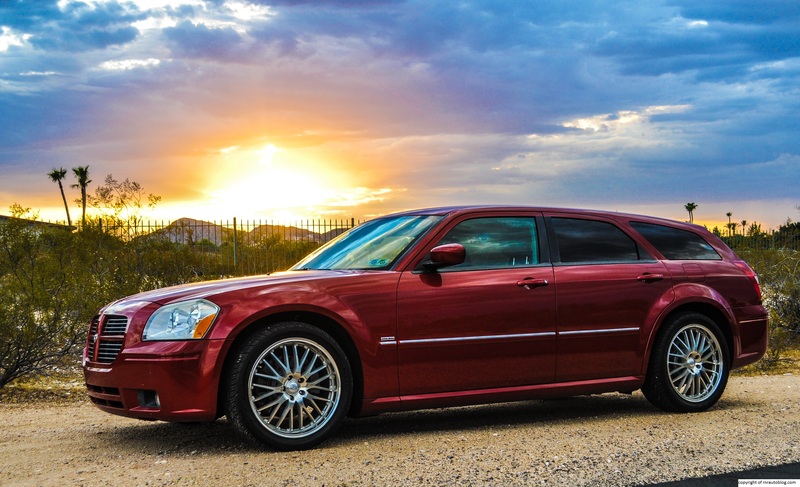 This R/T version comes with Dodge’s famous “Hemi” V8 engine. 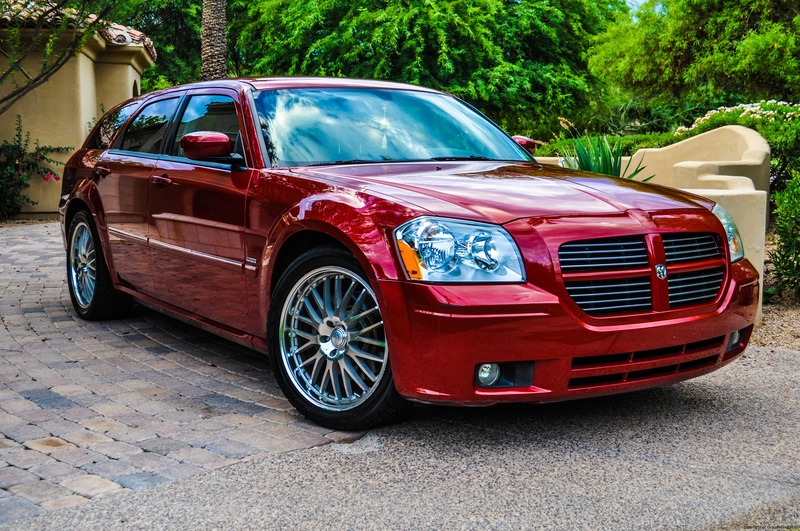 With 340 horsepower and 398 lbs of torque, this 5.7 liter V8 propels the Magnum from 0 to 60 mph in less than six seconds. 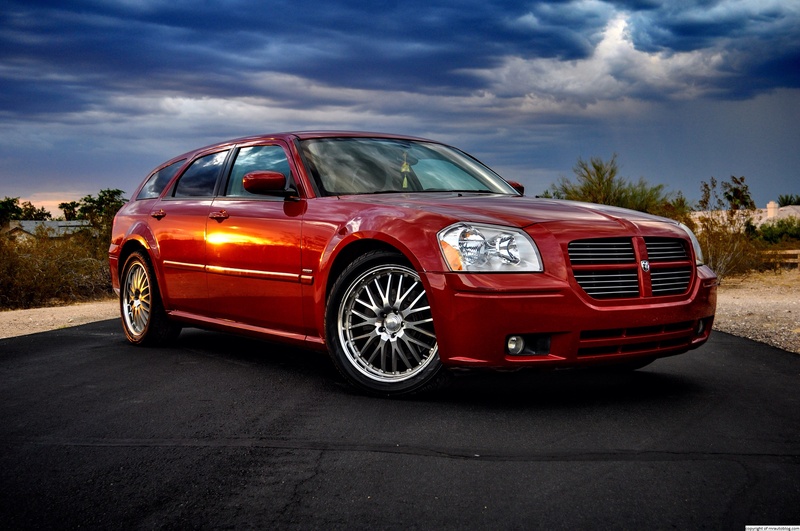 For a station wagon that cost less than 30 grand brand new, that’s pretty fast. 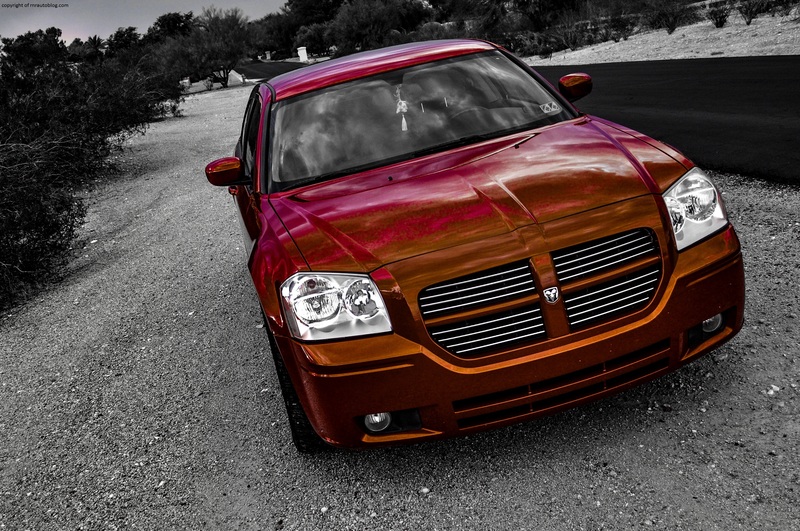 Dodge’s Hemi V8s are known for their hemispherical combustion camber, and also for their power and speed. 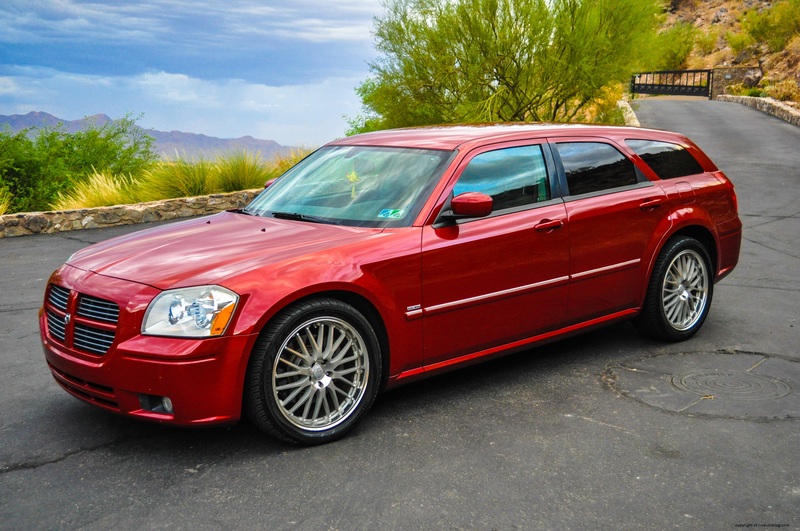 In the Magnum, the V8 is a beast. There is so much torque available at low revs, that when I depressed the gas pedal with very little force, I was alarmed to see speedometer needle moving at a quick pace, and it is surprisingly easy to peel the tires without any effort. When you floor it, there is immense grunt to be had, but the power surge tapers off slightly at high revs. The five speed automatic transmission is a Mercedes-Benz unit, unique to the SXT AWD (V6), R/T, and SRT8 models while lesser models make due with a four speed. It delivers imperceptible shifts, and the manumatic function works well. 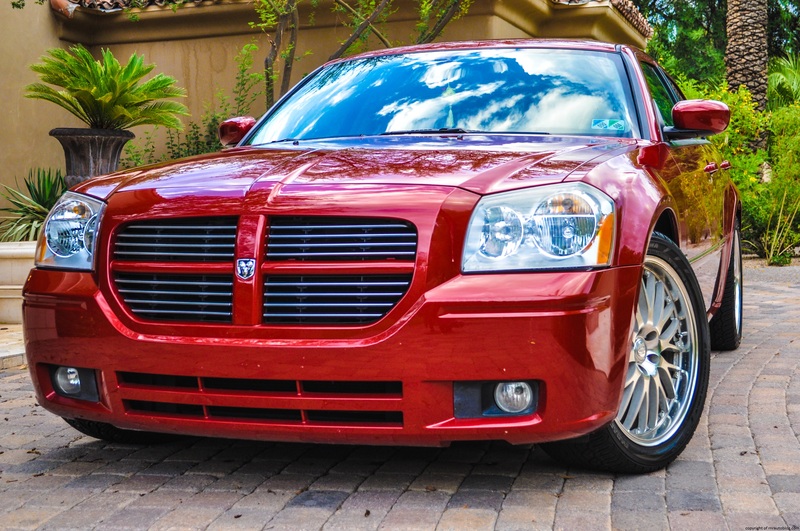 For even more power, there was a 6.1 liter 425 horsepower V8 SRT8 model, or if you want less power, 190 and 250 horsepower V6s were available. As for fuel economy, The R/T gets 17 mpg at best. Refinement is acceptable with some road and wind noise. When you’re not flooring the V8, it rumbles like as if a lion is lurking under the hood, And when you do floor it, it unleashes a growl that is to die for. Unfortunately, this car was made during Dodge’s cost cutting days, and the workmanship reflects this with cheap plastics and some panel misgaps. The driving position is good, and the seats offer enough support. The rear is huge, and there is plentiful legroom, and the cargo area can easily take whatever you throw at it. 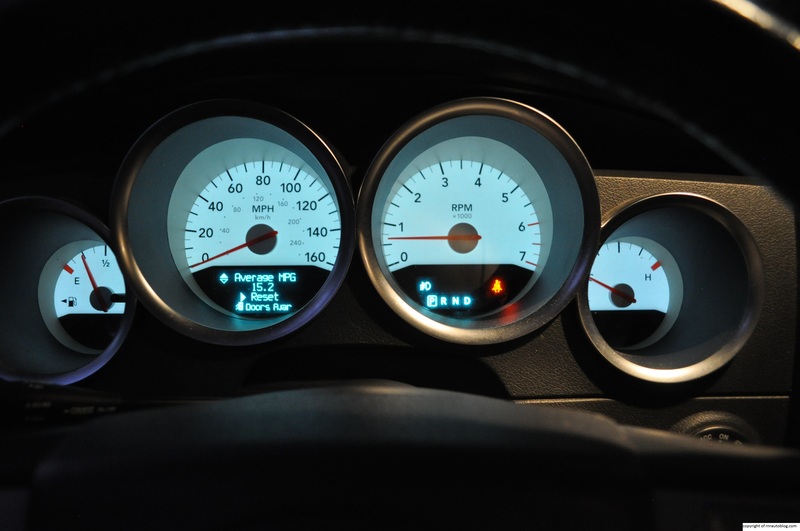 There is decent cabin storage, and the gauges are easy to read. The swoopy styling has some demerits though. Because of the roofline, the visibility is severely lacking. 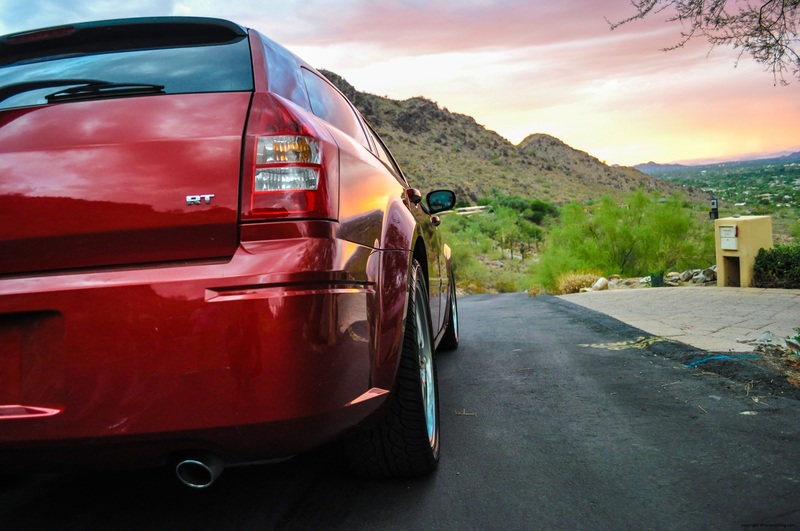 The huge rear pillars mean your rear vision is compromised greatly, so your best bet is your mirrors. It can be hard to see out front, with a high dash and a steeply raked windshield. You have to look forward just to see overheard signs. Access is adequate although you have to duck your head under to avoid hitting the low roof, and cabin storage is moderate. 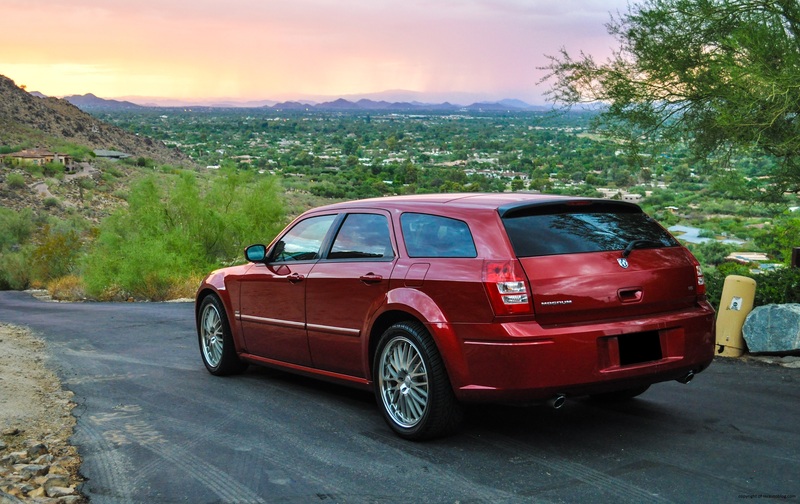 Contrary to American views, the station wagon is indeed cool. 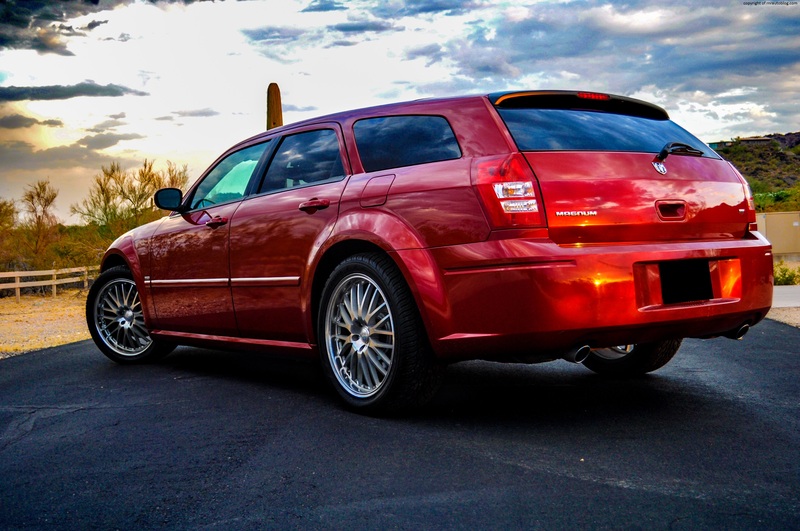 I would take a wagon over the SUV any day. Wagons haul as much stuff as SUVs while delivering better fuel economy, better handling as a result of being lower to the ground, some can be offered with a manual transmission, and they are cheaper. 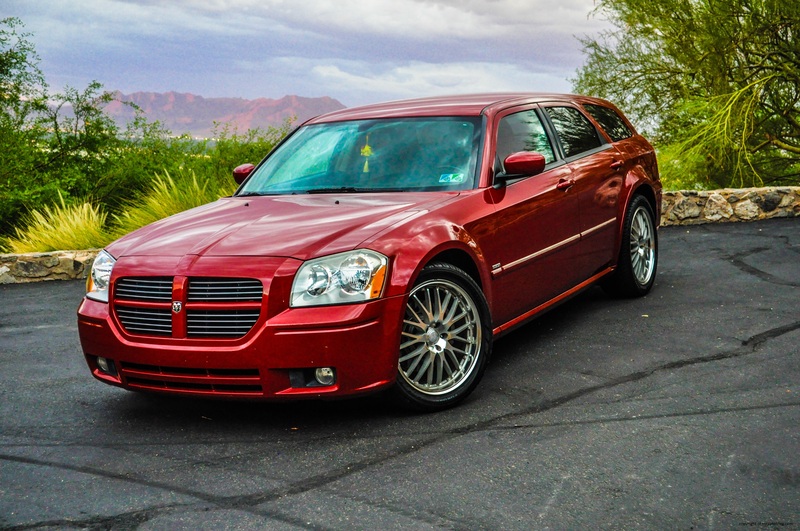 Granted, I wouldn’t get a Dodge Magnum. It’s a great car, but it’s not for me. I’m a Subaru Outback or a Volkswagen Jetta Sportwagen TDI guy. 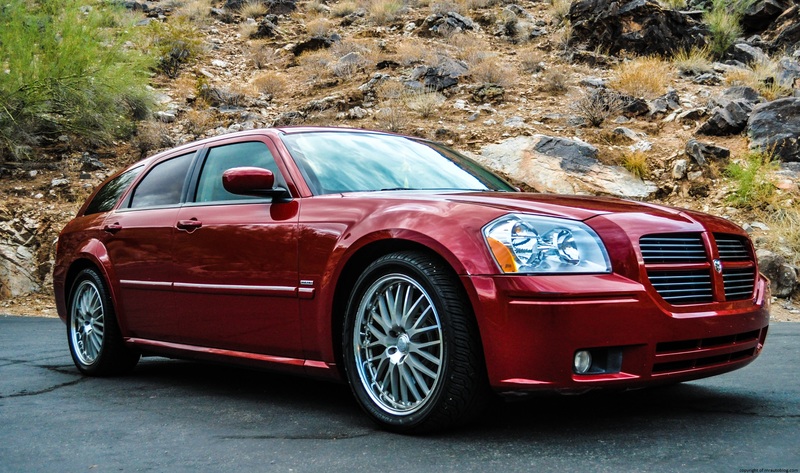 But it is a shame that Dodge discontinued the Magnum. 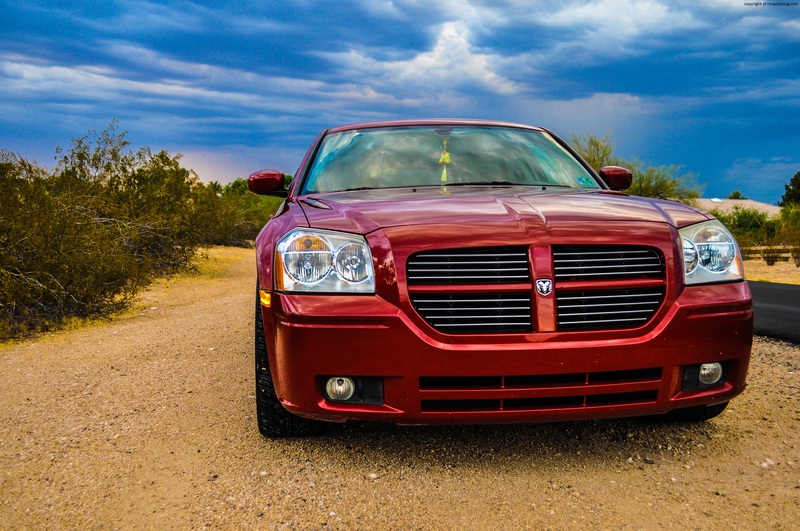 With a great engine, stylish looks, and decent driving dynamics, it is a memorable car. 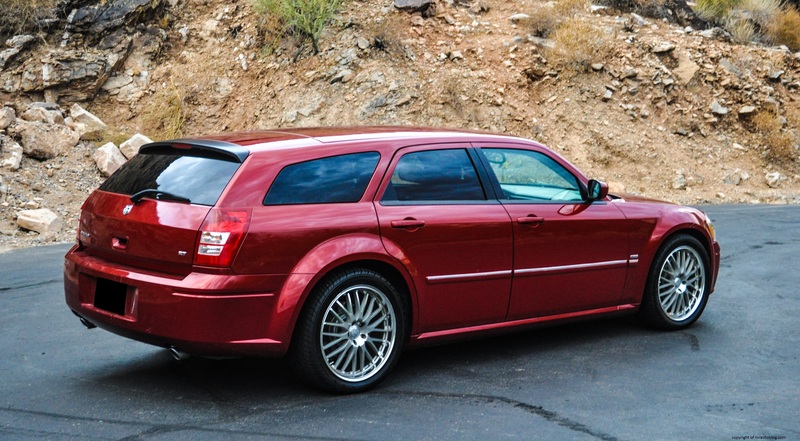 This isn’t just some Ford Taurus wagon (rememeber those?). It’s a Magnum R/T! I can imagine how awesome it would be to smoke fancy SUVs at a stop light in this. 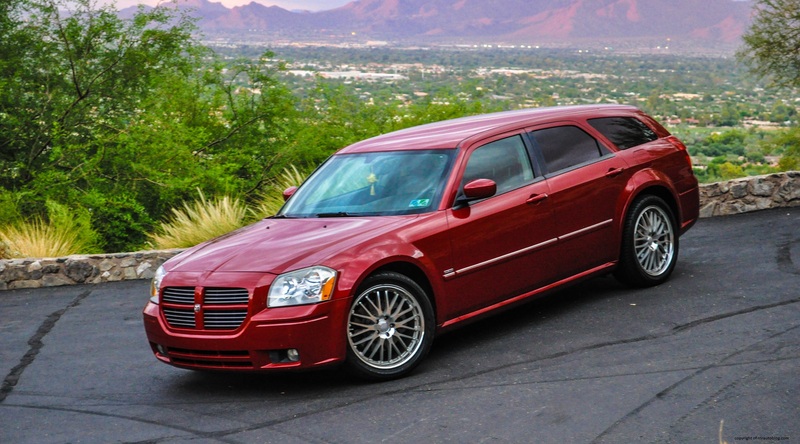 The Magnum is as American as you can get (even though it’s based off the chassis of an old Mercedes-Benz E-Class), and in my book, it’s a sweet ride.